An excerpt from the first movement of Mendelssohn F Major Violin Sonata, performed with Netanel Draiblate, violin, from the duo's commercially released recording Perspectives. Full movement is listed under the project title Times Two Duo with violinist Netanel Draiblate. From a live concert with the Baltimore Symphony Orchestra. I have long been fascinated with connection as an intellectual concept. As an undergraduate music student at Rice University, I took a class in Romanticism, which surveyed the movement as it manifested across the fields of visual art, music, literature, and philosophy. I was particularly captivated by the writing of Immanuel Kant in his Critique of Judgment, in which he described the definition of beauty as the interplay between observer and object considered beautiful. This interplay, this connection, has become what I seek in every area of life. Connection leads to engagement and to inspiration. Connection leads to a sense of togetherness, of community. As a performer, connecting and communicating are my aspiration. In this fractious and divisive cultural moment, my ability to connect through music serves me and others even more profoundly. I present in this portfolio a number of projects that exemplify not only my level of mastery in the field of classical music performance, and not just the depth of my artistic exploration in that field, but also the unique vision of music as a bridge between artist and instrument, artist and composer, members of a performing ensemble, performers and audience; and not least, between performer and self. It is uncommon to find a pianist who can grasp and master the particular challenges of orchestral piano playing. Stellar soloists and even accomplished chamber musicians often have difficulty with the very unique ensemble skills that are required. Many pianists are unused to following a conductor's beat patterns, particularly when they can change so drastically from one music director to the next. Another challenge is the difference in sound production between the piano and the other instruments in the orchestra - the piano produces immediate and instantaneous sound, while wind and string instruments have more cushion and delay to the beginning of their sound, as the breath or the bow connect with the air column or string. These differences in sound production result in necessary adjustments on the part of the orchestral pianist, so as to play in perfect synchronicity with the ensemble. Another issue is distance: since light travels faster than sound, and the piano is normally placed physically in the back of the orchestra, playing directly with the beat one sees can cause a pianist to sound ahead of the other instruments. All of these issues combine to create a musical puzzle that is always different and always has a different solution. Furthermore, pianists do not train for these challenges. Since any given orchestra generally has need for only one pianist, most don’t even consider orchestral playing in the constellation of activities they might pursue as a professional musician. I was fortunate to discover, about ten years ago, that I have a particular knack for this kind of adaptive, flexible, connective playing. Marin Alsop's first day on the job at the Baltimore Symphony Orchestra was my first as well. The challenge has been remarkably rewarding. 1. 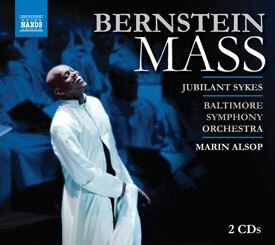 Leonard Bernstein's Mass, which was nominated for a Grammy award. Ms. Johnson played principal keyboard and organ on this recording. Released 2009, Naxos label. 2. Mark O'Connor's Americana Symphony. Released 2008 on O'Connor's private label. 3. Jean-Yves Thibaudet plays Gershwin Concertos with the Baltimore Symphony. Ms. Johnson played orchestra piano in the Concerto in F. Released April 2010, Decca label. 4. 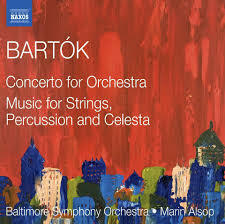 Bartok, Music for Strings, Percussion, and Celesta. Released 2012, Naxos label. 5. Bernstein Symphonies #1 and 2. Ms. Johnson played piano on Symphony No. 1. Released 2016, Naxos label. 1. Official teaser trailer, Gravity (2013), directed by Alfonso Cuarón, starring George Clooney and Sandra Bullock. Music selection: Arvo Pärt's spiegel im spiegel, taken from commercially released recording, Inner Voice, with Lura Johnson, piano and Peter Minkler, viola. 2. Ice Age: Collision Course Official Trailer #2 (2016) - Ray Romano, John Leguizamo Animated Movie HD. Music selection: Arvo Pärt's spiegel im spiegel, taken from commercially released recording, Inner Voice, with Lura Johnson, piano and Peter Minkler, viola. Music Credit: Arvo Pärt's spiegel im spiegel, performed by Lura Johnson, piano and Peter Minkler, viola, taken from their commercially released recording Inner Voice. "Who is your favorite composer?" This is the question I am asked by audience members more than any other. For decades, my answer was that I couldn't possibly choose. And then came an extraordinary six-month period during which I was invited, by pure coincidence, to play the Piano Quintet by Johannes Brahms, a Brahms Trio, one of his quartets, a viola sonata, two of the violin sonatas, and one of the cello sonatas. At the end of this experience of compressed immersion in the chamber music of Brahms, I realized that I finally knew the answer to that popular question. Brahms biographer Jan Swafford writes of his subject's music that it contains "the counterpoint of Bach, the architecture of Beethoven, the gentle lyricism of Schubert, and the fantasy of Schumann;" and yet the music does not sound like those composers mixed together in some sort of musical blender: rather, it sounds singularly Brahmsian. Nine years later, I discovered that there existed a competition for the thing I love most in life, the chamber music of Brahms. The contest is held in Pörtschach am Wörthersee, a tiny berg nestled amidst the Austrian Alps, where Brahms spent the summers of 1887-1889. There he wrote some of that very music that has grown so important to me. I immediately contacted one of the chamber music partners with whom I have the strongest sense of musical connection: cellist Ilya Finkelshteyn had been the principal cellist of the Baltimore Symphony from 2002-2009, during which time we had played together extensively and with great joy. Ilya agreed that going to Austria to compete in the International Johannes Brahms Competition's Chamber Music divison was something that we should do. We applied, were accepted, and began working in earnest on our program, which included both Cello Sonatas by Brahms, in addition to works by Schumann, Bolcom, Beethoven, Debussy, and Piazzolla. We arrived in Pörtschach on September 4, 2015. From then until we departed on September 14 we were completely immersed in the music of Brahms. We spent every day focused on musical ideas concerning phrasing, color, articulation, and structure, diverted only momentarily by needs for food, drink, and sleep. We won the Second Prize, and the experience was life changing for me, in that I now seek that experience of depth and concentrated engagement whenever possible. I have now returned to the Brahms competition two more times: in September of 2016 and 2017 I was official pianist for the competition, playing chamber music in the semi-final round of the cello division; and recently I expressed an interest in an expanded role within the organization, one which has yet to be defined. My travel to Austria has, to my joy, become annual and this past September of 2017 included two solo piano recitals, one in Vienna and one in Salzburg, where I performed all-Mozart programs in cathedrals that dated from the 900's A.D. I am surprised by how much my connection to the classical music of Austria has been augmented by spending time in there. I have always loved the music of Austrian composers Mozart, Brahms, Schubert, Bruckner, Haydn, Mahler, and many others. But to see the natural beauty they saw, to walk through the homes where they lived, and to breathe the air they breathed has changed my relationship to the music in a vivid way. Cellist Ilya Finkelshteyn and pianist Lura Johnson have maintained an active chamber music partnership since 2004. In September 2015, as Duo Baltinati, they traveled to Pörtschach am Wörthersee, Austria, to compete in the 22nd annual International Johannes Brahms Competition, where they were awarded the Second Prize in the chamber music division. The duo was one of 32 ensembles and 77 artists. Their program included Schumann Fantasiestücke, Bolcom Capriccio, both Brahms Cello Sonatas, Beethoven C Major Cello Sonata, Debussy Cello Sonata, and Piazzolla’s Le Grand Tango. The following recordings were taken from a live performance the duo gave in Baltimore in January, 2006. 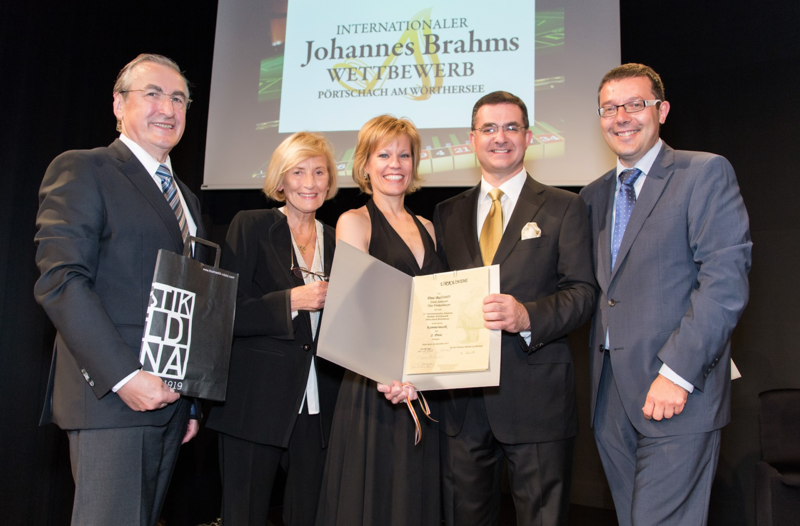 Receiving the 2nd Prize in Chamber Music at the 22nd International Johannes Brahms Competition in Pörtschach, Austria, September 2015. The train ride from Salzburg to Pörtschach. Herr Brahms himself wrote of this place, in a letter to his friend Eduard Hanslick, "So many melodies fly about one must be careful not to tread on them." This house, tragically, was torn down by a real estate developer in the late fall of 2015. It is now an apartment building. I learned at the age of 15, in a barn in the Berkshires of New England, what chamber music is. It is spontaneous communication, openness, vulnerability. The moments when I am fully engaged with chamber music partners who are also listening intently, ready to respond, and ready to support at any moment have been the most fulfilling of my life. For me, chamber music is one of the most powerful ways to experience human connection. Ms. Johnson has had an affinity for chamber music from a young age. The partnerships she finds most fulfilling are those which generate an atmosphere of discipline during the rehearsal process and spontaneous creation and innovation in performance. Her penchant for communication with her instrument, the composer, her fellow musicians, and her audience has found fulfillment in her duo with violinist Netanel Draiblate. Times Two Duo concertizes regularly together and released a recording, Perspectives, in 2013. From commercially released recording, Perspectives, with Netanel Draiblate, violin. 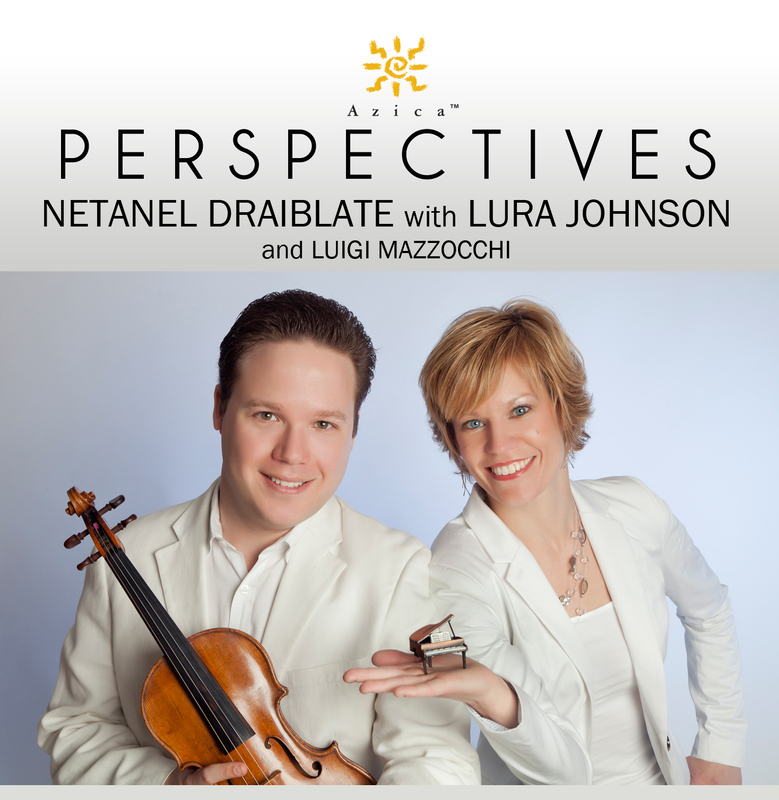 From commercially released recording, Perspectives, with violinist Netanel Draiblate. One of my first significant chamber music collaborations, and my first commercially released recording, arose from a relationship that began when I was 15 years old. 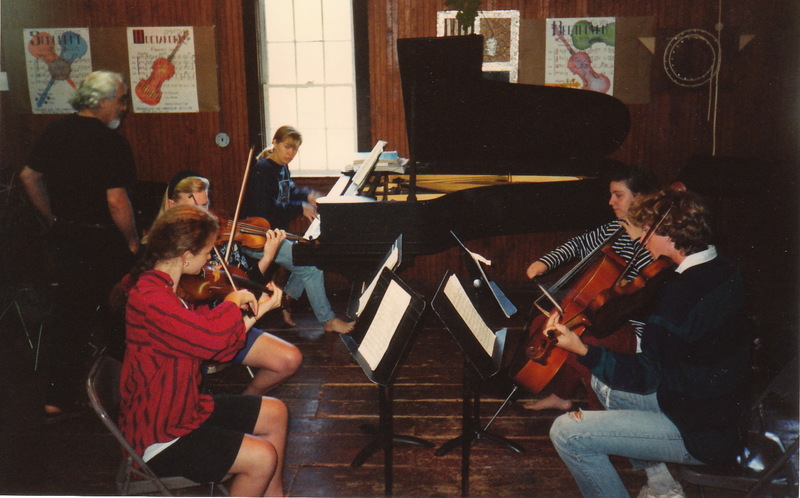 As a teenager growing up in northeastern Ohio, I learned in the late 1980's from my piano teacher about a chamber music camp called Greenwood, nestled in the Berkshires of western Massachusetts. This place sounded no less than heaven on earth - a small group of musically precocious and highly motivated young people, a place of breathtaking natural beauty, an impressive and committed music faculty, and a rustic barn in which we played all of our concerts, barefoot. These elements combined in an explosive and powerful way in the summer of 1990 and opened up to me a new world in which I knew that music-making and its power to communicate and create connection were to be a motivating force in my life, and that I wanted to pursue a career as a musician. That summer the older sister of one of my fellow campers attended a concert at Greenwood. She wrote me a note later, remarking on the beauty of my playing and how she could "listen to me play that Raindrop Prelude of Chopin for hours." Later I grew very close to her younger sister and spent time at their house in Hudson, Ohio. And even later, we found ourselves attending the same Shepherd School of Music at Rice University for our graduate degrees in music performance. 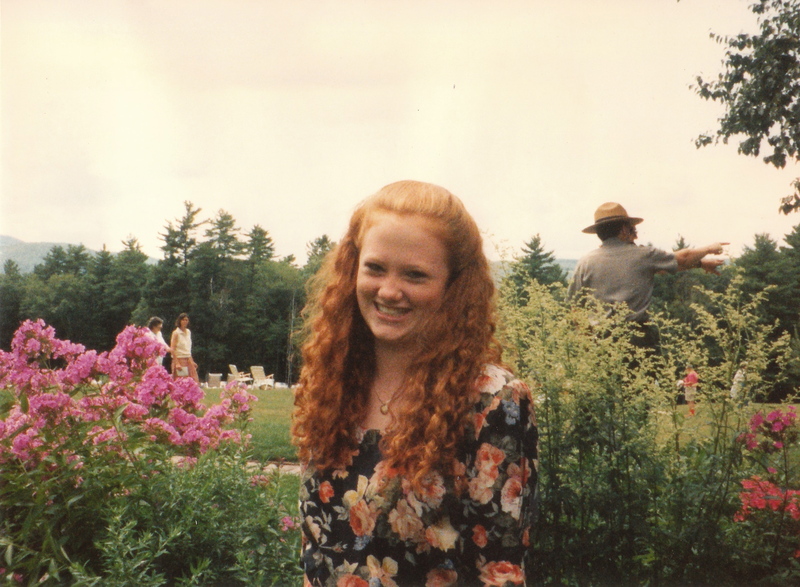 This was Christina Jennings, by that time an award-winning flutist, and in 1998 we finally began playing together. The partnership began with a recording made in 2005 and released in 2006, which we titled The Jennings-Johnson Duo. The Duo spent 2003-2009 traveling on multiple tours, playing recitals all across America, from Boston to Iowa, New York to Alabama. Almost ten years later, we recorded George Rochberg's work "Between Two Worlds" on an album dedicated to the complete flute works of George Rochberg. The duo was active, productive, and seminal in the lives of both members, and it had its roots in our childhood. Founded in 2002, the Jennings-Johnson Duo is a musical partnership celebrating the true spirit of collaboration. Inspired to explore all the combinations of the duo repertoire, they are challenging the traditional hierarchy of soloist and accompanist with performances that include solo works for each individual instrument, transcriptions, and music of today. Each a virtuoso in her own right, their combined synergy attracts new audiences to the flute and piano medium. They have released two recordings: The Jennings-Johnson Duo in 2006 and The Complete Flute Music of George Rochberg, Vol. 1 in 2015. From commercially released recording, The Jennings-Johnson Duo, with Christina Jennings, flute. This is literally a picture of me realizing that music was to be my future. The experience of playing in this group, in the summer of 1991, was transformative to my life course. Classical music hallows its past. We cherish our heritage, revere the great composers who founded and fostered our tradition, and consequently create the impression that we function as a museum that presents only old works by composers who have been gone from us for hundreds of years. In fact, classical music is alive and teeming with exciting music that represents our time. This music of now has diverged quite far, in many cases, from the style of the old beloved masters, and for some performers it lies outside their comfort zone. Since my early teens when I was first exposed to freshly composed works, I have been attracted to and comfortable in this medium. Rather than connecting with a text, the performance of new music offers a performer the opportunity to connect directly with its author, to receive suggestions and feedback straight from the horse's mouth, to learn the composer's intentions from the source. How many times do musicians long for the opportunity to ask Beethoven a question about tempo, or Bach a question about articulation? In the world of new music, all such questions can be answered. My work as a performer of new music connects me not just to individual composers but to the musical and artistic landscape of my society as an integral and vibrant member of its arts community. Co-commissioned by Lura Johnson and Matthew Horwitz-Lee in 2005, included on commercially released recording The Jennings-Johnson Duo, with Christina Jennings, flute - and rereleased on Albany Records on commercially released recording Through a stillness brightening. From a commercially released recording, For Moonlight: Night Music..." of the works of Karen Amrhein. Because I am so strongly collaborative by nature, it has been more of a challenge to find my voice as a soloist. In 2010 I started toying with the idea of recording a solo album. It had to be music I played exceptionally well, pieces I had played for a long time, and ones about which I felt strongly that my interpretation deserved a wider audience than a live concert would provide. The project started as a conversation with a dear friend, "If you were to record a solo album, what would you play?" After some hesitation, I began listing pieces that felt right for all of the aforementioned reasons, and I shortly discovered, to my astonishment, that there was also a strong thematic connection between the works: they were all variation sets. This was the seed that blossomed, in 2014, into the release of Turning, my first solo album. 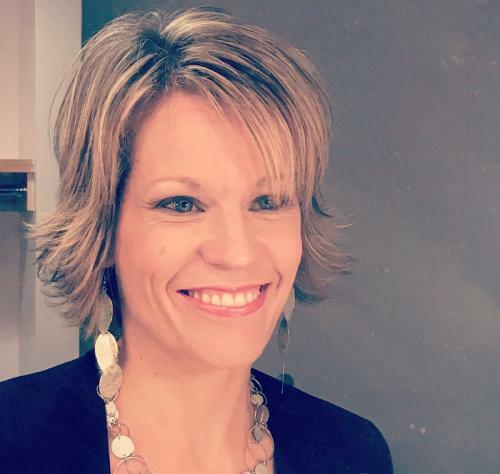 I needed a strong connection to self to step beyond my strengths as a collaborator to produce a project that was all mine. The project came together with a serendipity and synchronicity that made it feel like meant to be. Turning is a collection of variation sets. This recording includes three works representing the genre of theme and variations in the traditional sense: Mozart’s Twelve Variations on “Ah, vous dirai-je Maman,” K. 265; Clara Schumann’s Variations on a Theme by Robert Schumann, Op. 20; and Derek Bermel’s masterpiece, Turning, written in 1995. The inclusion of the other two works casts a wider net on the concept of theme and variations: the Rachmaninoff work is a transcription of a solo violin piece, and Brahms’s set of piano pieces was composed using a technique called developing variation. As a collection, these five works represent the concept of variation from many different angles. Recorded May 23-25, 2012 at Morgan State University’s Gilliam Concert Hall, Baltimore, Maryland. Produced and engineered by Antonino d’Urzo, Opusrite Audio Productions. Piano: Steinway, Model B, built 1916. Piano Technician: Tom Wright, Wright Piano Services. The Art of Prelude and Fugue began as a spark of an idea almost two years ago, prompted by a conversation I had with one of my Peabody undergraduate students. It has since grown into a journey that has inspired, challenged, and changed me. The music of these two composers is highly complicated, deeply contemplative, scientific, and rigorously structured. Yet it transcends boundaries, transporting us to a realm of the most spiritual kind. While challenging our cerebral cortex to comprehend its incredible complexity, the music also offers us a place of stillness, serenity, and deep reflection. It is not just beautiful. It is significant. It contributes to our cultural fabric and illuminates our humanity. Two centuries later, Russian composer Dmitry Shostakovich traveled to Germany to serve as president of the jury for the first Bach competition. All competitors were required to present one prelude and fugue of Bach; when Tatiana Nikolayeva took the stage, she informed the jury she was prepared to play any one of the set of forty-eight compositions. Dumbfounded, they selected one; she played it, won the competition, and began a lifelong friendship with Shostakovich. Shortly upon his return to Saint Petersburg, Shostakovich was inspired to write his own set of preludes and fugues, which Tatiana Nikolayeva championed, performing and recording the cycle multiple times throughout her life. Many pianists have performed and recorded the complete Well-Tempered Clavier of Bach. Only a handful have performed and recorded the entire opus of Shostakovich’s preludes and fugues. A few have built concerts using excerpts from both works. But no one has performed both monumental cycles in their entirety—until now, with these four concerts. One of the most remarkable aspects of J.S. Bach’s keyboard music is the dearth of extramusical instruction. Bach offers next to no indications of tempo, dynamics, or articulations. Rather than being prescriptive, Bach gives us a blank canvas. The performer is an interpreter responsible for huge amounts of the musical decision making, yielding personal and individualistic performances that vary immensely from one artist to the next. And the music emerges from any interpretation unassaulted and unblemished. It transcends any one performer’s voice. Though Shostakovich provides significantly more instruction to the performer than Bach, he too leaves much to the performer. His music finds a similar potency through complexity masked as simplicity. Both composers rely almost entirely on counterpoint to carry the weight of their message. Presenting these two composers on the same series of programs is both shockingly unorthodox and yet a most natural partnership. The Bach Preludes and Fugues are presented in order. The twenty-eight Preludes and Fugues of Book I will be performed over the course of Concerts 1 and 2; the twenty-eight of Book II will unfold in Concerts 3 and 4. Shostakovich’s twenty-eight Preludes and Fugues are interspersed throughout where homage is present, often obvious. I felt compelled on multiple occasions to separate a Bach Prelude from its Fugue partner, because the allusions are so striking. This happens immediately at the beginning of Concert 1; the trebly-voiced C Major arpeggio that opens the famous Bach C Major Prelude is mirrored, identical in registration and voicing to Shostakovich’s C Major Prelude. This chord is no longer arpeggiated, but played as a simultaneity in a rhythm that evokes the Baroque dance, Sarabande. The C Minor Prelude and Fugue of Shostakovich share a foundational motive that has its roots in the fugue subject of Bach’s C-Sharp Minor five-voiced Fugue. This creates an awkward key relationship between the works, but again, Shostakovich’s inspiration is clear. Many more such connections emerge, producing pairings sometimes surprising. This cycle asks much of the listener. Counterpoint can be unrelenting in its horizontal progress toward cadence. I encourage listeners to give themselves permission to drift in and out of an intellectual approach of intense and active listening for individual voices and structures, and a more passive engagement with the material, allowing it to simply envelop. Just as the music embraces both an intellectual realm and a spiritual meditative one, so can and should the listener. Documentary filmmaker Scott Meyers is creating a video portrait dedicated to my work as an artist and to this project in particular. A trailer for his short film can be viewed in this section. Produced and created by videographers Scott Meyers and Ali Walton. Audio engineering by Bob Novak. Studio space provided by Red Bridge Studios. Creative direction by David Williams. In preparation for the project The Art of Prelude and Fugue, a four-concert cycle of concerts presenting the entire Well-Tempered Clavier of J.S. Bach, with the complete Preludes and Fugues of Dmitry Shostakovich curated by the artist and interstitially placed throughout. Repertoire performed in this video: J.S. Bach Prelude in C Major, from Well-Tempered Clavier, Book I J.S. Photography and Design by Scott Meyers. Lura Johnson, piano Home studio recording. December 2017 In preparation for the project The Art of Prelude and Fugue, a four concert cycle of concerts presenting the entire Well-Tempered Clavier of J.S. Bach, with the complete Preludes and Fugues of Dmitry Shostakovich interstitially placed throughout. One way to evaluate the degree to which a person has attained mastery of their craft is through feedback from independent third parties. I include here articles and quotes from various newspapers, magazines, and online sources. Additionally, I provide testimonials from performers, composers, and former teachers. “Johnson summoned impressive bravura as needed — Chausson demands a lot of it — and balanced that with considerable nuance." 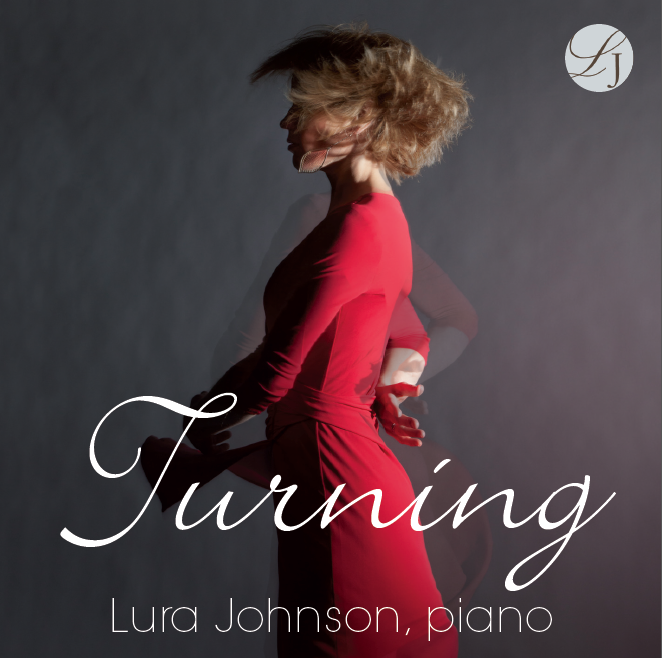 "Lura Johnson is the ideal pianist for new music, with a wonderful technique and exceptional insight into the character of the new music she is performing. She instinctively performs it as the composer intended, so that I was more than satisfied – I was thrilled – by the way she performed some new songs of mine with soprano Kate Hearden. I look forward to working with Lura in the future”. (Lawrence Moss, composer and professor at the University of Maryland, College Park, MD.